We had a surprise visitor yesterday- Dr. Bob White and family. 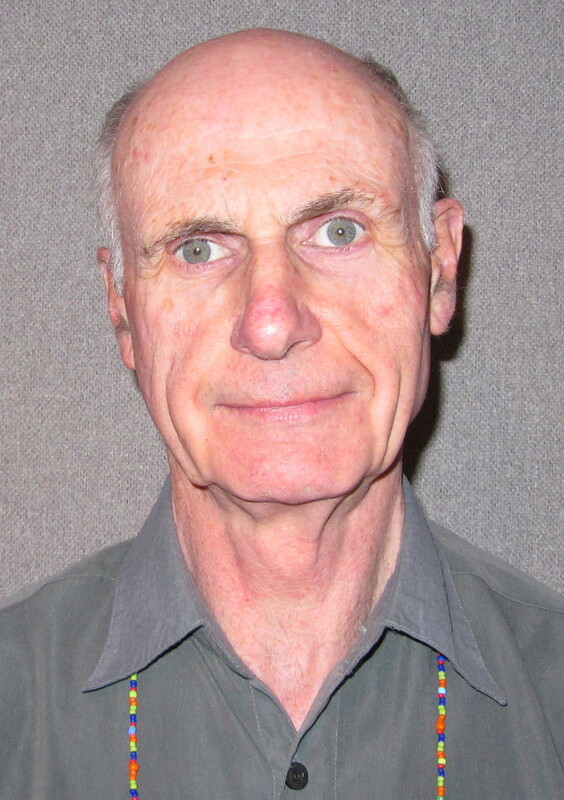 Bob, now retired, was a lecturer in mineral processing during the 1980s at the University of Leeds and the University of Guyana. If any of you blog-readers were taught by Bob, please let me know and I will pass a message on to him. Bob and I go back a long way. 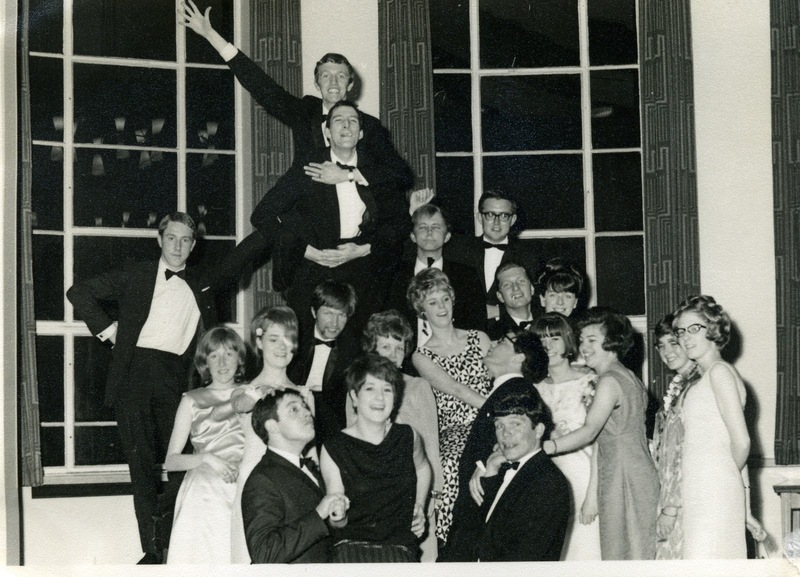 We graduated in metallurgy from the University of Leeds in 1966 and then stayed on to do PhDs. The photo below was taken at the Leeds University Houldsworth Ball in 1968. Bob is on the right on the back row, Barbara is on the far right, and the fool at the top is me. 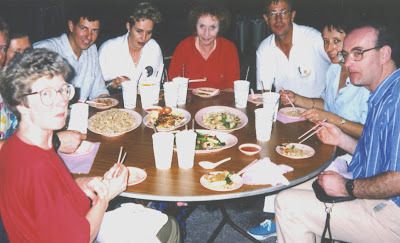 Apart from Bob (and Barbara), I have totally lost contact with the others in the photo, so it would be good to hear from you if you see this. There are now many ways of carrying out searches for publications and it would be interesting to know which methods are most productive. If you make use of the Refereed Publications listings in MEI Online, I would be grateful if you could help us ascertain its value and usage. Do you find the MEI listings useful? In particular do you make use of the direct links to ScienceDirect for Elsevier journal papers? Your input on this would be most appreciated and valued..
Australia's JKTech has long been a strong supporter of MEI, so it was great to see that one of their stalwarts, Dan Alexander has been promoted to the CEO (MEI Online 23rd July). Dan has attended many MEI Conferences, including all of the Flotation series. He is pictured below (front row left) with other members of the JK team at Comminution '08 in Falmouth. Congratulations Dan, from all at MEI. A trip to the Lizard is a must for anyone exploring Cornwall after an MEI Conference. 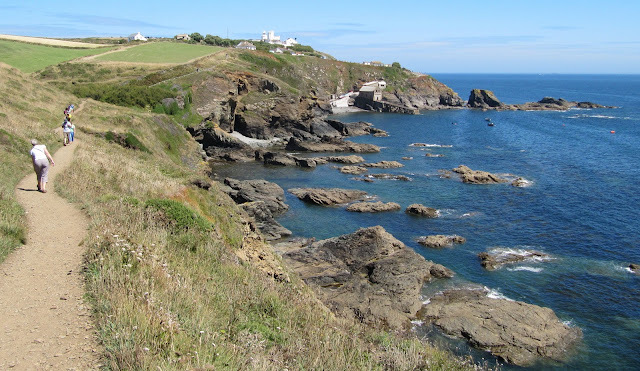 Lizard Point is the most southerly point of mainland Britain and is only 23 miles from Falmouth by road. 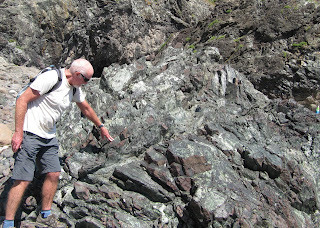 The geology of the Lizard is totally different from the rest of Cornwall, very complex and, until the discovery of plate tectonics, a total enigma. 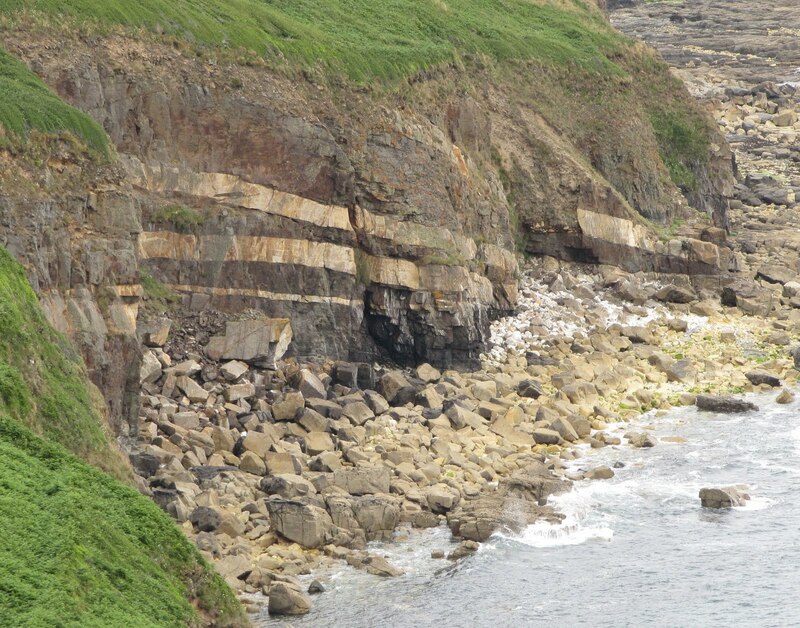 Cornwall's geology is very much linked to the formation of Pangea over 300 million years ago, and as the Rheic Ocean closed the Variscan oregeny deformed and metamorphosed the Devonian slates and shales into the hard rock known locally as killas. I am not a geologist, so I tend to use simple analogies to describe geological events, and I can only describe the formation of the Lizard as bulldozing of the earth's crust and mantle by the unimaginable tectonic forces. As the Rheic Ocean finally closed, another analogy is that the underlying mantle was squeezed upwards like a pip from a piece of fruit, until it broke through the earth's crust to form the Lizard, a complete sequence of rocks from the mantle to the crust- igneous rocks, volcanic lava and ocean sediments- a total mess which would confound geologists for ages! One of the rocks, peridotite, was rich in iron and magnesium and was metamorphosed by the tremendous heat generated into serpentine, one of the Lizard's most famous and attractive rocks. 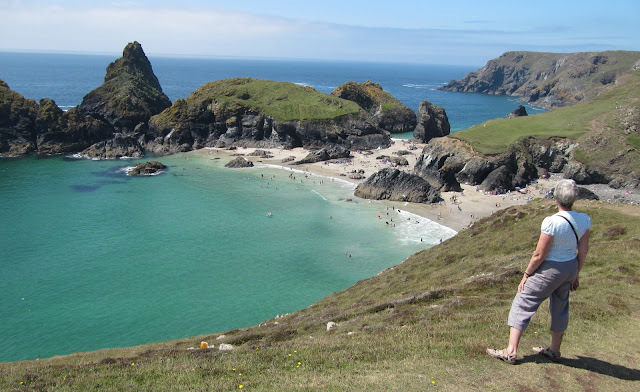 There are many wonderful walks on the Lizard, but I would highly recommend the short walk to Kynance Cove, one of Cornwall's most beautiful and most photographed beaches. This is also the best place to see serpentine in all its glory, as the cliffs here are composed of this mineral, which also gives the sea a lovely turquoise colour. Optical and other forms of electronic sorting have always been processes with potential, but have mostly been mineral processing techniques with limited use, apart from important applications on some specific ores, such as diamonds. However, Oliver Peters, of Metpro Management, Canada, feels that optical sorting (including XRF analysis) is becoming increasingly popular. He writes in LinkedIn "I am currently working on a project that relies pretty much on the separation of three ore types prior to grinding in order to be an economic project. Big advancements have been made in optical sorting over the past few years and they are starting to be a real practical process option. The throughput is still somewhat limited in that each machine can process the equivalent of t/hr based on feed size in mm i.e. at a feed size of 20 mm, a sorting machine can process approximately 20 t/hr. To my knowledge there are now 7 different type of sensors that are being used in sorting applications. Some details will be available in the new Ullman publication, which is scheduled to be released later this year." Ron Fickling, of Metanga Mineral Processors, South Africa, comments "Optical Sorting (using cameras) can be limited by the requirement to have consistent light source and surface moisture content. In some tests, about 5 years ago, using the same ore sample the mass split between concentrate and discard varied by up to 30% on different days. I think that sensors such as XRF, XRT, EM etc will produce more consistent results unless there is a significant colour difference." Let's have your views on this interesting area, which will form part of the scope of next year's Physical Separation '11 conference in Falmouth, UK. Maelgwyn Mineral Services (MMS) has been an active supporter of MEI and MEI conferences over the past few years in terms of sponsorship, delegate attendance and delivering papers. They are already committed to sponsorship of Flotation '11 in Cape Town. MMS is a privately owned limited company registered in England and Wales. It was founded in 1997 with its headquarters in Cardiff, Wales. The company is now established as a world leader in the development and implementation of innovative cost effective technologies and processes in the field of mineral, chemical and waste processing. It has had many patents granted and has won a number of national innovation awards for its technology. The technology can achieve significant environmental benefits in terms of reduced energy and waste for operations. “We have found our association with MEI to be very worthwhile. The conferences themselves are very good, represent value for money and importantly manage to achieve the right balance between academia and industry related papers. Conference administration is professionally handled by Barry, Barbara, Jon and Amanda and unlike some conferences you not only get to meet the people behind the arrangements but also speak to the same people and don’t get shunted around. So do we Steve- your team is always a pleasure to work with. Good news on MEI Online is the award of the Fellowship of Engineering to Prof. Jan Cilliers of Imperial College. Jan has become a good friend of MEI over the years, and he and his excellent young team of researchers at Imperial College are strong supporters of MEI Conferences, and are very much part of the peer-review process for Minerals Engineering. Jan has come a long way since his debut as a student presenter at Minerals Engineering '91 in Singapore just over 19 years ago. He is pictured here (2nd left) with conference delegates, including his then supervisor at the University of Cape Town, Cyril O'Connor (3rd from right). Well done Jan. Look forward to buying you a beer or two at the IMPC in Brisbane! 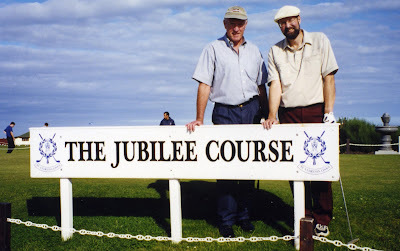 Watching the Open golf on TV evoked memories of my one and only visit to St. Andrews 12 years ago. 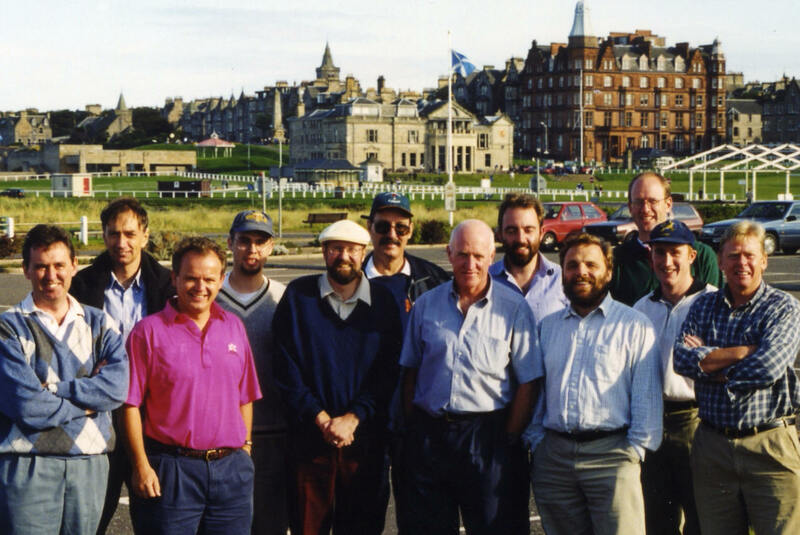 I organised a golf tournament for delegates at Minerals Engineering '98 in Edinburgh. I can identify only a few of the players, apart from me, on that day (pictured below in the clubhouse car park): Phil King (2nd left), Jim Finch (5th left), Liam Macnamara (8th left) and Nick Clarke (far right). We were not allowed to play on the Old Course, and our round was on the adjacent Jubilee course (left with Jim Finch). Despite the wonderful weather, it was amazingly difficult, with tiny fairways, and rough which would have easily hidden a herd of African elephants (and many of our golf balls!). High pressure grinding rolls (HPGR) have been much in the news lately (see posting of 18th May). HPGR technology is very rapidly gaining a wide acceptance within the mineral processing industry. Benefits, including a superior energy efficiency and a lower overall operating cost of an HPGR based circuit compared to alternative technologies have been demonstrated at a number of operations throughout the world. Increasing numbers of units are presently being installed in the minerals industry world-wide. This trend is an excellent reflection of the confidence now placed in the technology by new and existing users. A paper by van der Meer and Gruenden of HPGR manufacturer KHD Humboldt Wedag, Germany (Minerals Engineering Volume 23 issue 9, 2010) summarizes the basic principles of the equipment and of various options of how to include an HPRG in the grinding circuit for most efficient use. Case studies demonstrate the application of HPGRs in different grinding circuit set-ups and for the comminution of different ore types. Benefits of the options of open circuit grinding, closed circuit grinding incorporating wet and dry screening as well as the option of achieving a finer grind by recirculating part of the HPGR product using a mechanical splitter are discussed. From a processing point of view the effects of partial product recycle are detailed and some guidance for selection of cut size between HPGR and ball mill is provided. It is less than 2 months now to the year's premier mineral processing event, the XXV IMPC in Brisbane. Billed as the 'Olympics of Mineral Processing', this is an event not to be missed, and Jon, Amanda and I will be there to represent MEI and enjoy the week's activities. The preliminary scientific programme is now available. A feature at this event will be the Sustainability Workshop, a free event specifically designed for young professionals and graduate students, who have entered or are about to enter the minerals industry, as well as undergraduate and graduate students considering careers in the industry, who want to discuss and analyse the sustainability issues facing the mining industry and the challenges posed by society and the industry in meeting sustainability targets. Leading experts from industry, education and R&D, as well as members of the International Mineral Processing Council, have been invited to the workshop to share their views on sustainability. We look forward to meeting old friends and new faces in Brisbane in September. More good news for November's Process Mineralogy '10. Anglo Research is the latest corporate sponsor of what is developing into a major event. I can remember when mineralogy was not even mentioned in University courses, and many mines did not even own a simple microscope. 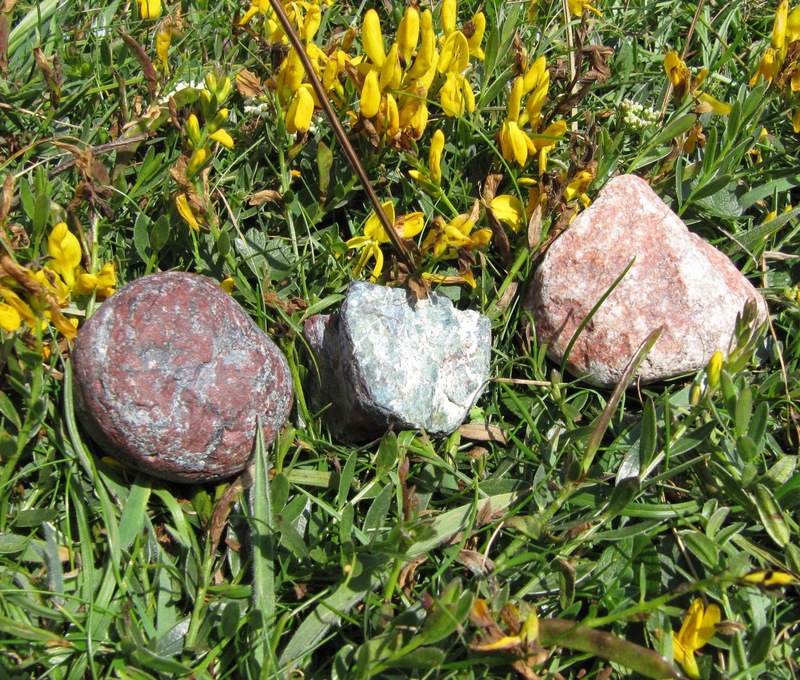 Now the importance of mineralogy in ore evaluation and process optimisation is fully realised and is, or should be, an essential tool in every mineral processor's armoury. We are expecting a large turn-out in Cape Town. Cyanide has been in the news in the past few days. Good news for the mining industry is the European Commission's rejection of a proposed Europe-wide ban on cyanide use in mining activity (MEI Online July 9th). 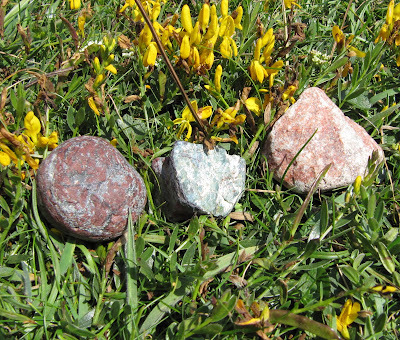 The decision has been welcomed by the mining industry. A statement by Janez Potocnik, European Commissioner for the Environment, said that, following in-depth analysis, "the Commission considers that a general ban of cyanide in mining activities is not justified from environmental and health point of views". Mr Potocnik added that a general ban on cyanide use would result in the closure of existing mines operating in safe conditions, and would have a detrimental effect on employment. In fact many of the reagents used in flotation have a more harmful effect on the environment than cyanide, but the mention of cyanide in tailings is very emotive. There are many ways to degrade cyanide into relatively harmless forms, and another news item in MEI Online (July 9th) reports on Maelgwyn Mineral Services announcement that the first commercial application of its CN-D cyanide destruction process at Randgold Resources' new 300000tpm Tongon Gold Mine in Cote d’Ivoire West Africa is due for commissioning in the last quarter of 2010. In the patented process free and WAD cyanide are oxidised by Aachen reactors using oxygen and activated carbon at specific Eh and pH values. 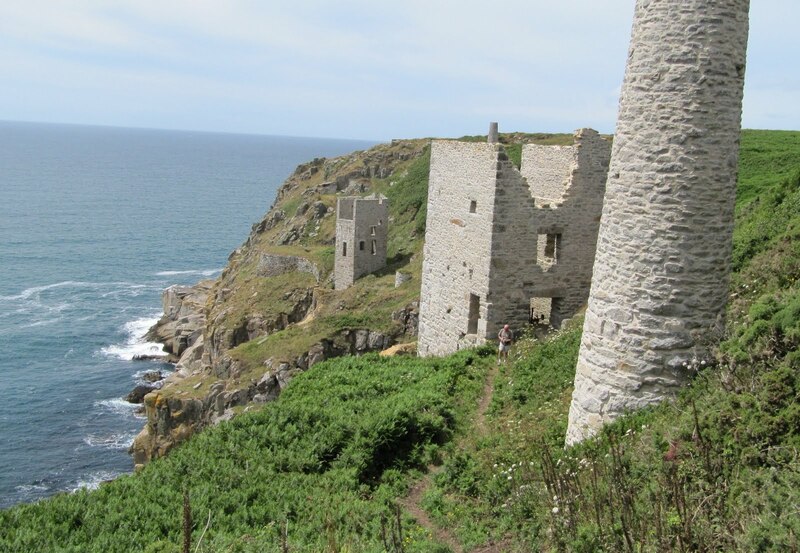 Cornwall's rugged north coast is famous for its engine houses, but on the south coast between Praa Sands and Porthleven there are two fine examples of the evocative mine workings. We took a trip down to Praa sands today, only 20 miles west of Falmouth and walked the lovely 6 miles of coastline to Porthleven. Roughly halfway is a granite outcrop and above Rinsey Cove is the remaining pumping engine of Wheal Prosper, which opened in about 1860 working tin and a little copper, but was anything but prosperous. About half a mile further eastwards we encountered the two remaining engine houses of Wheal Trewavas, which opened in the mid-1830s, employing around 200 people, but flooding of the undersea working forced closure a decade later. In that time it produced over £100,000 worth of copper ore.
Just east of here the granite ends, and some beautiful banding of the killas rock can be seen in the cliff-face. By the way, for those of you who may be wondering- Wheal is the Cornish name for place of work, bal meaning mine. It seems years ago, but Nickel Processing '10 finished only 3 weeks ago today. 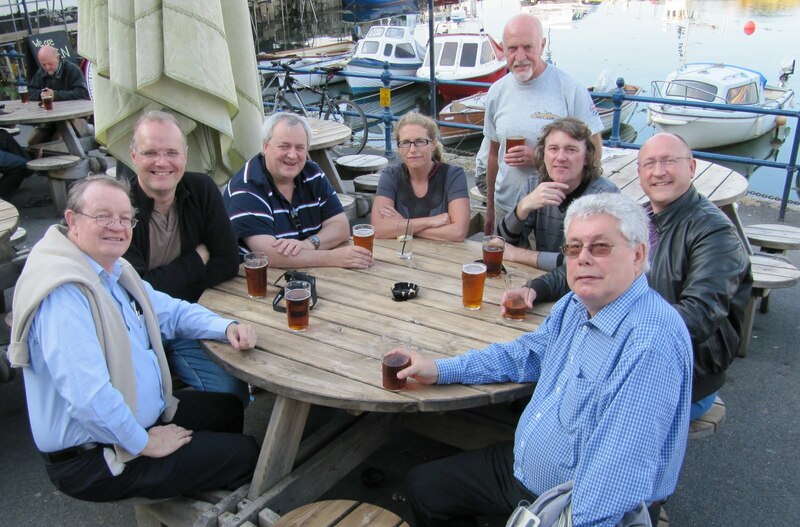 It was the end of a great week of conferences in Falmouth, commencing with Precious Metals '10. Work has now commenced on production of special Minerals Engineering issues, with the aid of my specialist advisors Dr. Mike Adams (Precious Metals) and Dr. Norman Lotter (Nickel Processing). Reports on the conferences can be found here (Precious Metals '10) and here (Nickel Processing '10). Downloadable photos are available here (Precious Metals' 10) and here (Nickel Processing '10). The conference Proceedings CDs are now available for purchase here (Precious Metals '10) and here (Nickel Processing '10). Once again, thanks to all who took part in these two rewarding events. 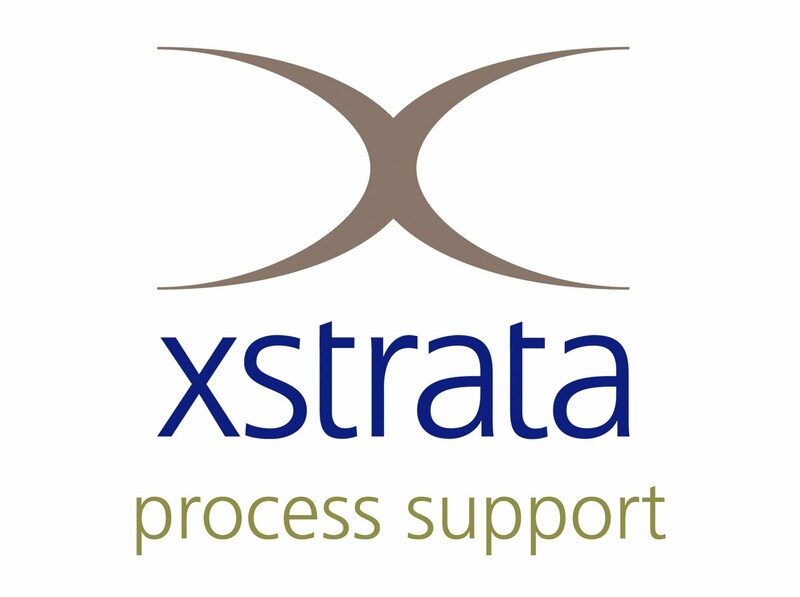 Xstrata Process Support (XPS) have sponsored MEI’s Flotation ’07 in Cape Town, South Africa, and more recently, their Nickel Processing ’10 held in Falmouth, Cornwall. The international representation by the delegates and presenting authors delivers relevant conference papers and subsequent peer-reviewed proceedings and transactions in Minerals Engineering at an excellent standard for which MEI has long been known, and more recently, awarded an A* rating and a high impact factor amongst a comparative rating between all mineral processing and related journals. This provides an ongoing archival reference journal of very high value. As importantly, the networking dynamic in these conferences is very engaging and offers a great opportunity for technical and business discussions between academics, operations and project managers, and technical service providers. Although these conferences are never large, it is who attends that counts. And in Nickel Processing ’10, this was no exception. We welcome Terry Norgate as a keynote speaker at next year's Sustainability through Resource Conservation & Recycling conference in Falmouth. He will present a talk entitled "Towards more sustainable metal use through recycling and other technologies". 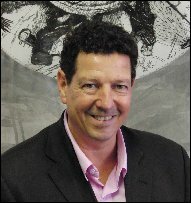 Terry is a Senior Project Engineer with CSIRO Process Science and Engineering, Australia, and has over 25 years experience in process modelling, simulation and analysis in the minerals industry. Terry’s current role involves carrying out process evaluations including the technical, economic and environmental evaluations of both new and existing processes in the areas of mineral and chemical processing and metal production, with a strong focus on the sustainability of these processes. Terry has carried out environmental evaluations of a number of alternative processes for the production of various metals using Life Cycle Assessment (LCA) methodology and has published a number of papers in this area. This LCA work initially focussed on energy consumption and greenhouse gas emissions, but more recently has included water and toxicity impacts of these processes. SRCR '11will run back to back with Risk-Based Approaches to Major Decisions, at the Falmouth Beach Resort Hotel, Cornwall. Industry confidence in MEI's first process mineralogy conference is growing, and the latest sponsor to join ALS Mineralogy, IMP Holdings and Bruker AXS is the world's leading supplier of automated mineralogy equipment, FEI. 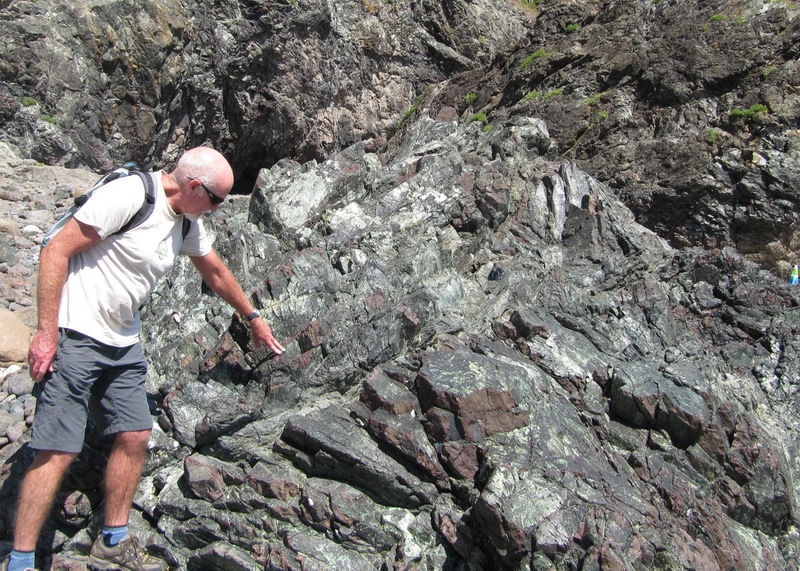 We hope to have a provisional programme for Process Mineralogy '10 available within the next few weeks. 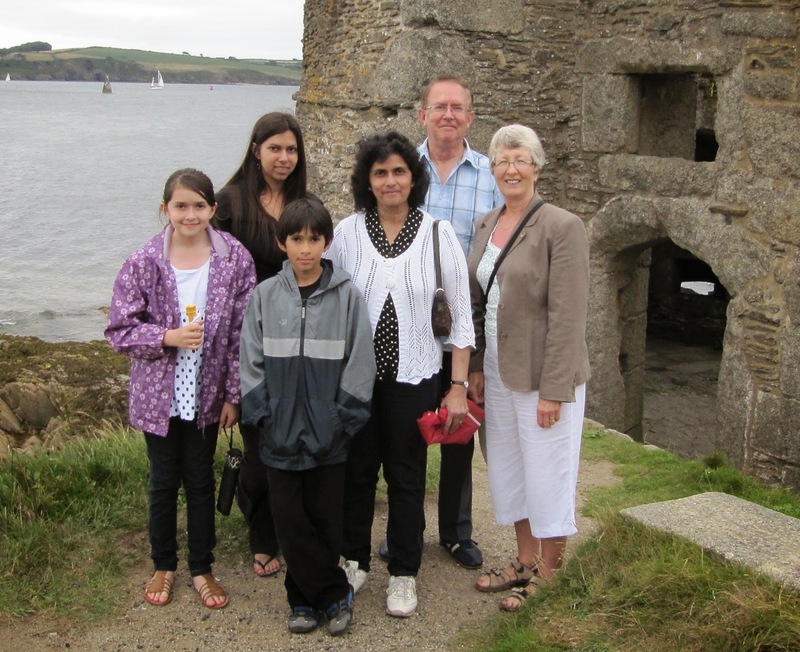 Back in Falmouth, a few pounds lighter after a fabulous walking holiday in Switzerland. My long list of emails is dominated by abstracts for the November conferences in Cape Town. Biohydromet '10 is looking particularly strong, as is Process Mineralogy '10, but it is not too late to submit abstracts, as we will not be making decisions until later this month. Zinc Processing '10 is a little light, so if you are involved in any aspect of the processing of zinc ores and concentrates, I am sure we will be able to find you a slot. There has been a large number of submissions to Minerals Engineering over the past couple of weeks, so apologies to all authors for the inevitable delay in clearing the backlog. Hopefully all will be back to normal by mid-week. This is our last day in Wengen. It has been a wonderful break in this very special area of Switzerland, dominated by the mighty Jungfrau and Eiger. I reckon we must have walked about 90 miles over the past 10 days, all of totally different nature and difficulty- great training for the MEI conference walks in Falmouth! The mountain railway which serves the Jungfrau region is an added bonus, climbing slowly through breath-taking scenery to the walking regions. The area has always been special to me. Barbara and I have skiied here in the winter, but my first overseas trip was to this district almost 50 years ago, when I was one of a party of 81 pupils on a school trip, based in nearby Interlaken. My first ski lesson was on Jungfraujoch on that trip in July 1961. 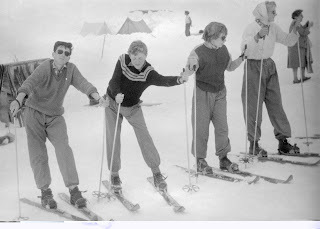 I am second from the left in this photo- notice the old wooden skis and leather ski boots! Tomorrow we set off early for the journey back to Falmouth, so I hope that normal blogging will resume very soon.